Note: This course assumes you've got the basics of React and Redux down. Check out my course 'Modern React with Redux', its the perfect preparation! All of my courses are 'learn-by-doing': no boring endless lectures with Powerpoints, only live, interactive coding examples. 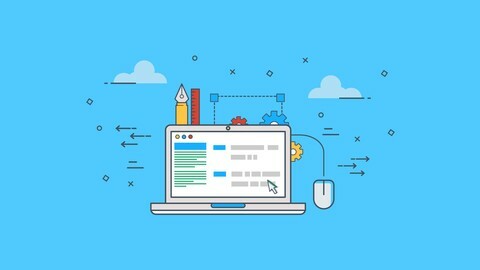 In this course we'll build one massive web application that profiles the advanced features of React, Redux, Express, and Mongo. By putting each concept into a real app, you'll get a better idea of when to use each unique and powerful feature. Build a large feedback-collection app. This mega app will include the full gamut of features, including everything from authentication to email handling. You'll learn how to build an app that can be used to send mass emails to a big list of users for the purpose of collecting feedback. It's my goal to ensure you understand each feature we build into this app so you can apply them to your own personal or professional projects in the future. I've built the course that I would have wanted to take when I was learning to build fullstack apps. A course that explains the concepts and how they're implemented in the best order for you to learn and deeply understand them. Build an interactive survey collection app with React and Redux. 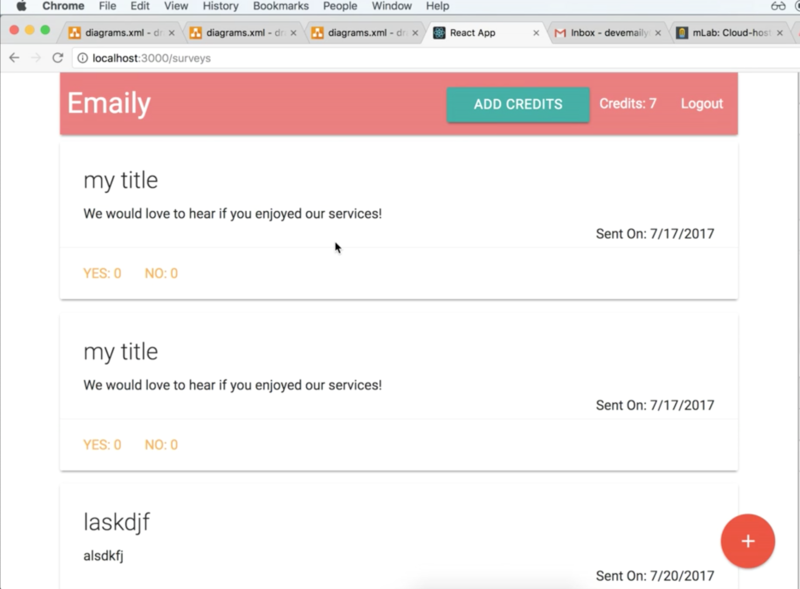 Your users will first sign in with Google Oauth, then create surveys to send out via email. Each email sent out contains a link that allows the email receipient to vote on a particular survey. Not only will you learn how to elegently handle email sending, but you'll also master the process of webhooks to parse feedback from emails as well. The entire course features continuous deployments with Heroku, so you will become a master of figuring how to show your work off to the world.